Are you on the Instant Pot bandwagon? If not, you might consider it! 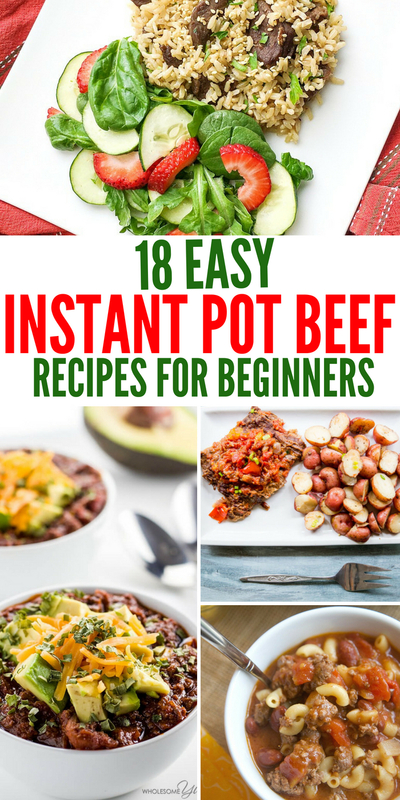 I have some great Instant Pot beef recipes that are perfect for those beginners who are looking for easy dishes to prepare to make for their family! Ground beef, roast, and all things beef, I got you covered. Don’t be intimidated by your Instant Pot, use these simple recipes below to get you started and gain that confidence you need. I will be honest, I was scared at the first time I used my Instant Pot. You will find that the Instant Pot offers safety mechanisms to protect you. Here are some tips and tricks for starting out using your Instant Pot. 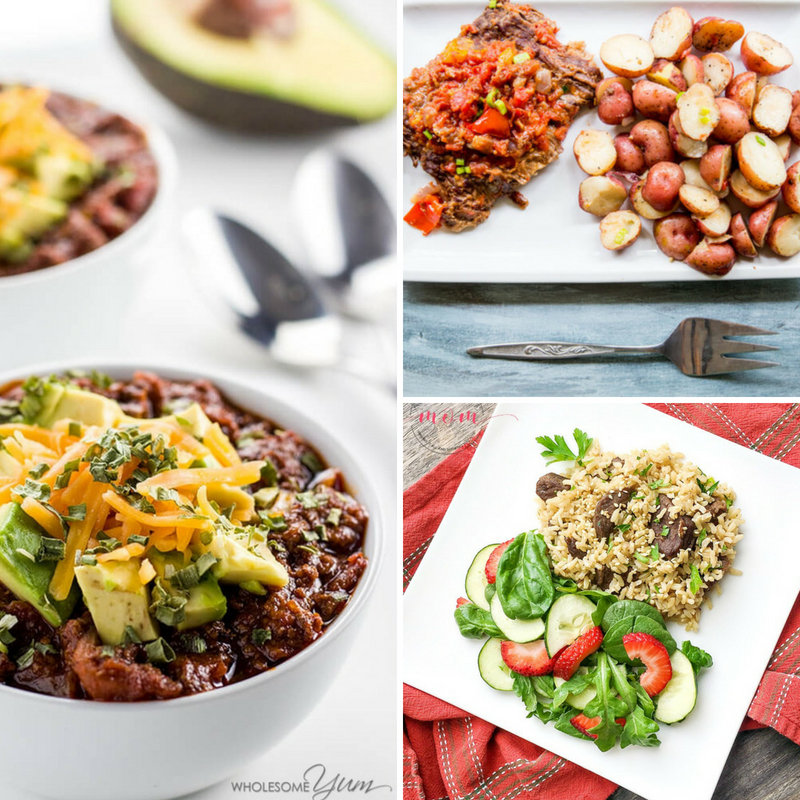 Enjoy these easy and delicious Instant Pot recipes below. Check out this Instant Pot cheesy taco pasta. You get the tender pasta, with the Tex-Mex flavors the whole family will love. 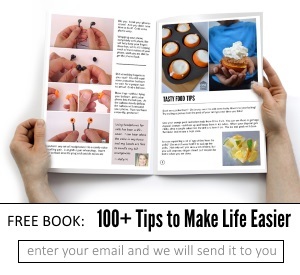 Super easy to make with minimal steps needed. Instant Pot hobo meals are a meal in one that is wrapped in aluminum foil. They are tasty and a breeze to make, and perfect for beginners. This hearty Instant Pot beef and beer stew is a total comfort soup to serve up in the chilly months. Minimal steps required for a hearty bowl of soup ready in under 40 minutes. Instant Pot beef and rice is a great dish to make. You will have tender and juicy slices of beef paired with rice, for a really comforting dish. 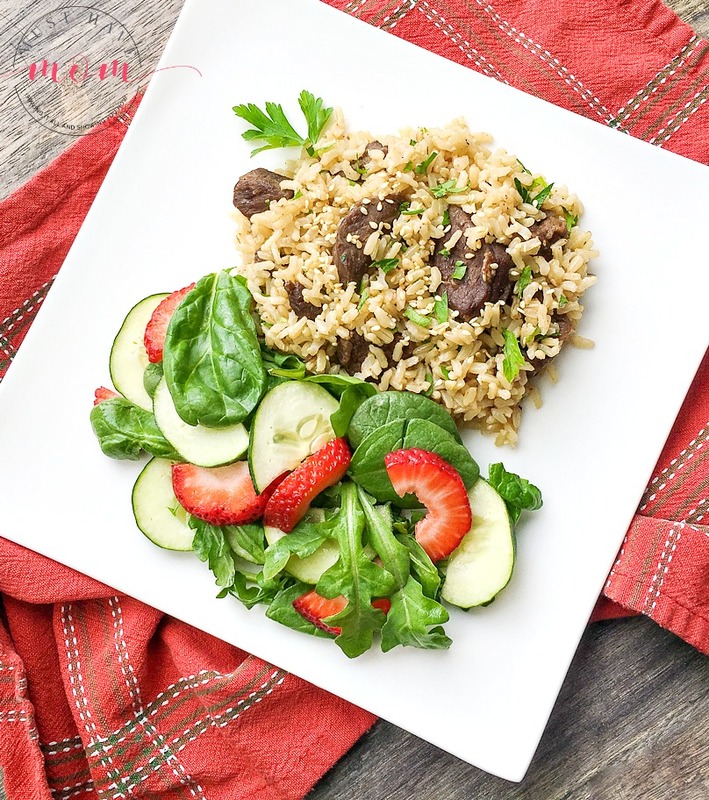 Pair this beef and rice with a side salad for a quick weeknight meal. Beef and broccoli is a super easy dish to make as well. This recipe uses frozen broccoli to make the prep work even easier. Serve up a hearty bowl of Instant Pot goulash. A one-pot recipe that the whole family can enjoy. Pasta, tomato based sauce, and tender pasta. Grab a roast and make these simple shredded beef tacos. They are a breeze to make, and the shredded roast is a nice change from ground beef or chicken for a taco. 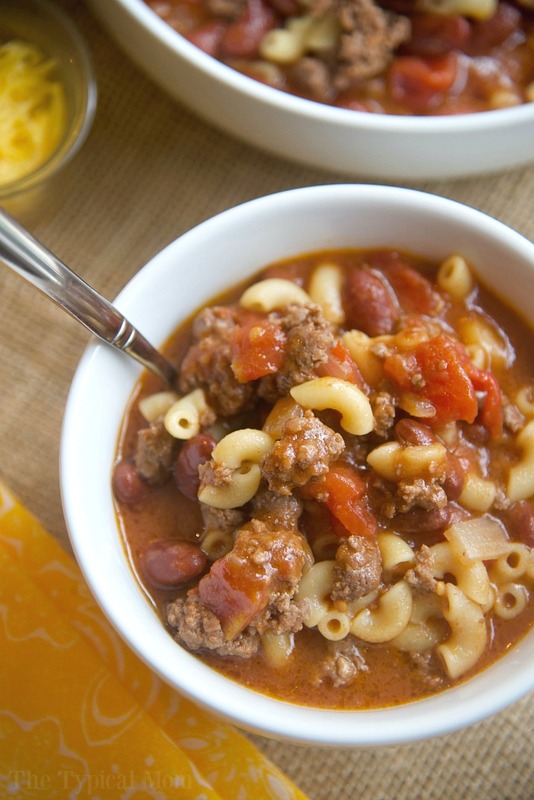 Check out this 5-minute chili mac recipe. If this isn’t simple, I don’t know what would be. Pasta, ground beef, hearty beans and more. Did you know you can make sloppy joes in the Instant Pot? Check out this recipe that you can make today with some ground beef. Nothing beats Mexican. Here is an Instant Pot taco pie that uses flour tortillas as layers of meat, seasoning and more layered between it. Instant Pot Beef and Macaroni requires just five basic ingredients to get this satisfying dish. Top with shredded cheese for the added flavor. 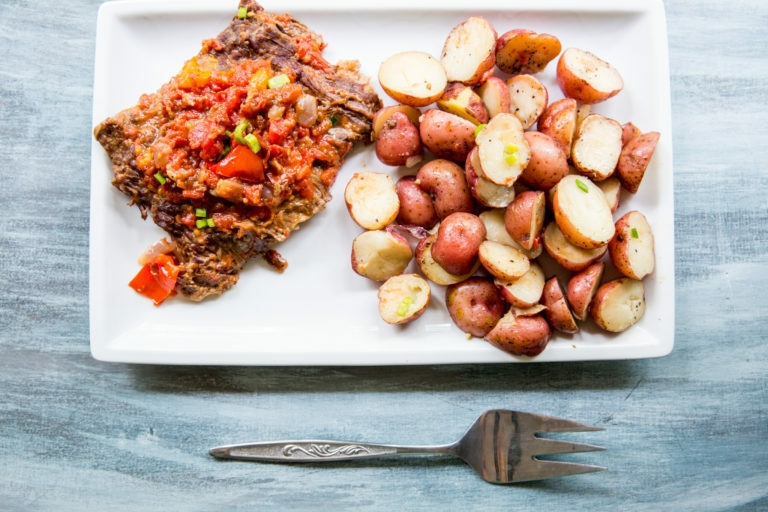 This One-pot Instant Pot Swiss steak and potatoes is a complete meal that can be cooked at once. Minimal steps needed to get this savory and hearty dish. Instant Pot Beef and Broccoli taste even better than takeout and it is a breeze to make. You get that restaurant quality right at home. Taco Lasagna is a fun twist to a classic pasta dish. It will give you variety and is really easy to make in your Instant Pot. 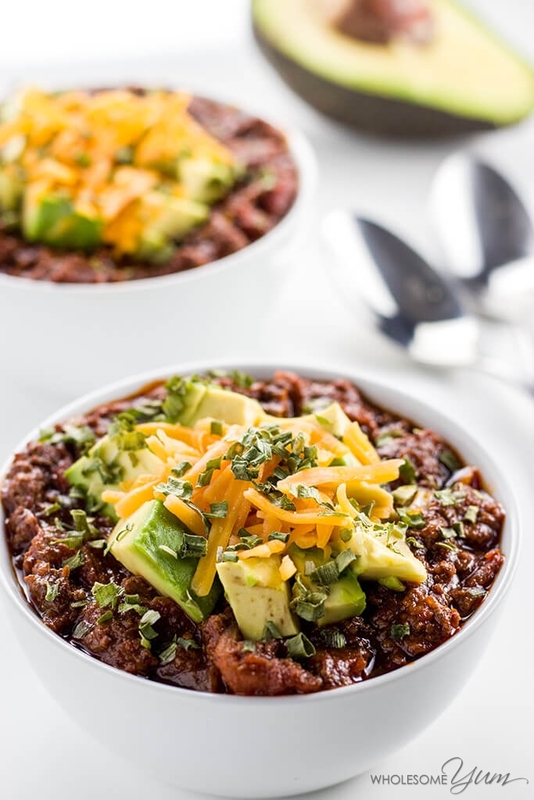 Here is a Keto low carb chili recipe that gives you that comfort feel. Ground beef, onion, seasonings, and more for a perfect flavorful soup. This Instant Pot roast recipe is really easy to follow and you get that tender pull-apart style roast you are craving. Make Instant Pot spaghetti with meat sauce to serve up your family. Crisp green salad and garlic bread for the side and dinner is ready. I love a good Instant Pot beef taco rice. Just 30 minutes is all it takes to make this savory and filling dish. What is your go-to recipe in the Instant Pot?